With the franchise’s most famous monster becoming the film title, do we finally get to know more about Leatherface, and will he get a more prominent role? After an angry petrol station attendant almost shoots a dysfunctional couple, they speed away only to find they are being hunted by a group of cannibals. Upon hiding in the woods they must choose to attack or become an inevitable dinner for the family. This third film sees a lot more action based content enter the franchise including a pervert gunman, a shiny black 4×4 chase scene, an action hero, and even an explosion thrown in for good measure. 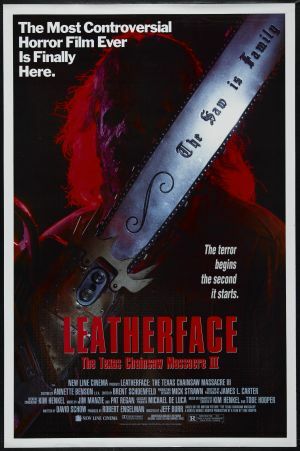 Leatherface takes this action theme one step further by scoring dramatic scenes with eighties rock music which results in a reasonably entertaining watch, but at the forfeit of the horror genre; it ends up disregarding it’s fan base and unique selling points to compete with a plethora of better nineties action movies. Previously Leatherface has hidden behind his masks, and despite the film title bearing his name, we don’t learn much more about the mystery here. 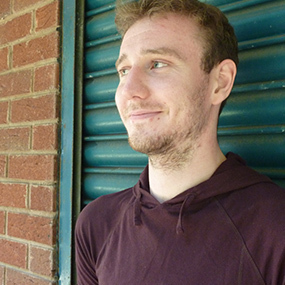 However, his character does change with the help of a new chainsaw, with the encryption ‘The Saw Is Family’ being given as a present. He’s also much more in control of his own actions and acts more like an equal to the family rather than a servant; making him a formidable character is a massive transformation which helps the franchise gain a truly bold, recognisable monster, but at the loss of his enigma and uncontrollable nature which caused the disturbing scares in the first film. Leatherface: Texas Chainsaw Massacre III delivers an action packed version of the original which entertains, but largely fails to deliver the scare factor or build substantially on the interesting character of Leatherface.